To be eligible for this scholarship, student must be a member of the Nebraska Corn Growers Association or the son/daughter of a NeCGA member. They must be a senior in high school or college freshman who is continuing their education in an agricultural related field at an in-state school. “The applications we received for the FLAGship Program were outstanding. It was very difficult to choose just five students to receive the scholarship. The future of agriculture is very bright with these young people going into the industry,” said Dan Nerud, Chairman of the Grower Services Committee and Vice President of NeCGA. For more information about the Nebraska Corn Growers Association and the Future Leaders in Agriculture Scholarship Program, please call the office at (402) 438-6459. The Nebraska Corn Growers Association is a grassroots commodity organization whose mission is to create and increase opportunities for Nebraska corn farmers through advocacy, education, partnerships and leadership development. This scholarship is intended to form a solid base for the next generation of ag leaders. 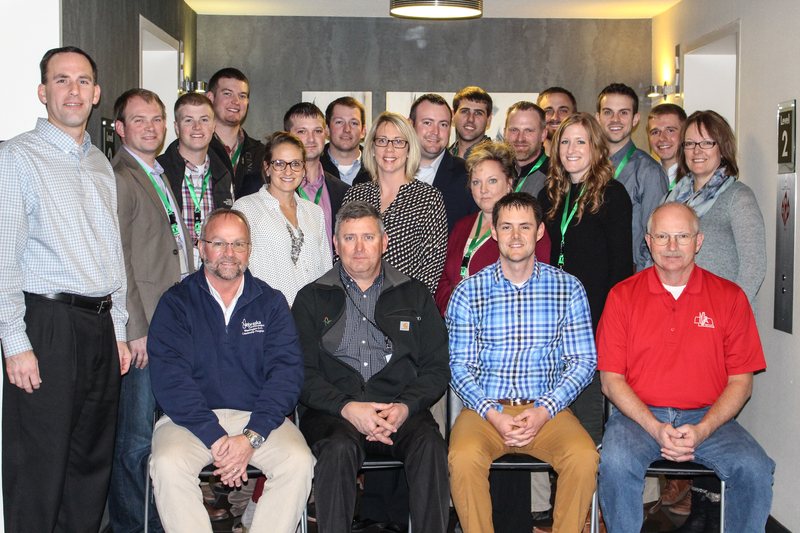 Lincoln, NE – This past week young leaders from across the state took part in the Nebraska Corn Growers Association 29th annual Washington D.C. Leadership Mission. From February 6th to February 10th, 16 producers, along with four grower leaders, got a firsthand experience of Washington D.C. and the legislative process. The leadership mission trip to Washington D.C. is a great way for Nebraska corn farmers to engage with key contacts and help put a face on Nebraska agriculture. The participants had a full slate of meetings over three days. This included meeting with the Nebraska congressional delegation as well as important industry partners. The participants were able to talk with a wide variety of people and organizations who have a great deal of influence over their operations back in Nebraska. “The DC Leadership Mission is a chance for new leaders to gain a better understanding of the legislative process and the current issues that face Nebraska’s corn farmers. It is our hope that they will take this knowledge and enthusiasm back with them to their local organizations. This trip is the place where many of our current leaders got their start.” Said Dan Wesely, current president of NeCGA. Cost for the Nebraska Corn specialty license plate is $70, which is in addition to the standard fees for licensing one’s vehicle in Nebraska. This additional fee is due with the initial application and is subject to annual renewal. The Nebraska Corn license plates can be used on a wide range of vehicles and equipment including passenger vehicles, pickups, farm trucks, semi-trailers, motorcycles, trailers and mobile homes. Customized “vanity” plate messages are not available, and the plates will not carry a county designation. The Nebraska Department of Motor Vehicles will assign plate numbers as applications are submitted. For more questions regarding the specialty plates please call the DMV offices at (402) 471-3918.